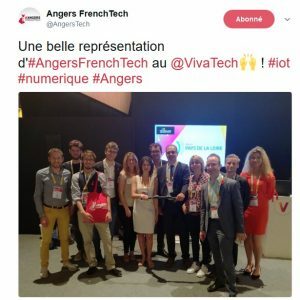 This year, the second edition of the French VIVATECH exhibition – that got the ambition of being the European CES (Global Electronic Show) – took place in Paris on June 15th, 16th, 17th. Thanks to my employer Frères Toque (Thank you again! ), I was invited to this huge Tech meeting on Thursday and Friday. 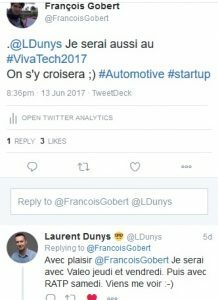 So this is a brief article about a bike courier passionate about Entrepreneurship & Startups going to VIVATECH. 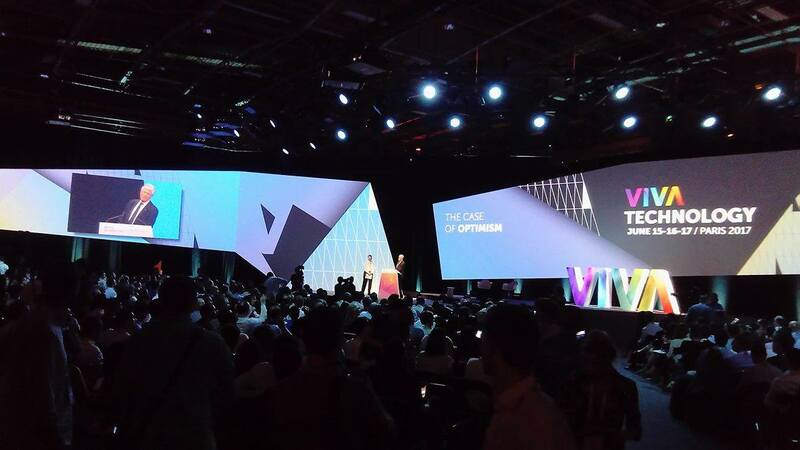 With 400 speakers invited and 6 stages opened, there were conferences for all tastes from AI (Artificial Intelligence) to digital marketing strategies going through social businesses and more general Tech topics! 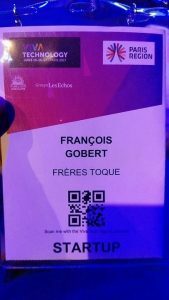 Among fancy speakers were Eric Schmidt (ex-CEO at Google), Jonah Peretti (Founder & CEO at Buzzfedd) or Bertrand Piccard (Founder of Solar Impulse). 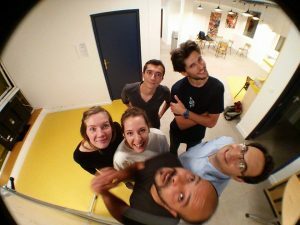 But on smaller stages were also bright entrepreneurs such as Alice Zagury (CEO at The Family), Ryan Holmes (Founder & CEO at Hootsuite) and, on top of that, young co-founders had also time to ‘firepitch’ in 6 minutes their startup venture on some stages. 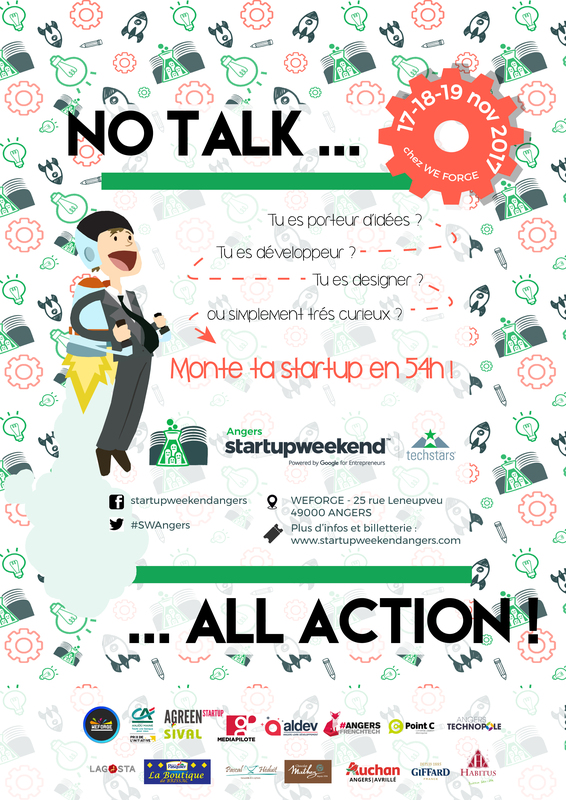 That what the case of Louisa Mesnard (cofounder & COO at Citron & ex W-Project traveler) for instance. Stages were noisy because of the fair and it was a bit frustrating sometimes to get insides from such leaders only for few minutes (25 minutes talks on average with 3 speakers sometimes). However, there was a good diversity in speakers, types of Tech and size of structures! I was happy with it! 50,000 people is actually a small World! Even if the venue was pretty full, I enjoyed walking around to meet again with people I once met. I met again with ex-employers, former colleagues, people I graduated in EM Strasbourg with and others I currently work with. The aura of the fair is so great that it already turned it into a must-be place! 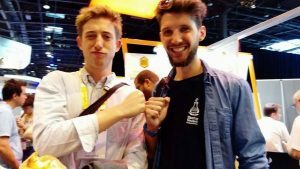 And in Paris and even France, Tech is still a small World (getting bigger) so there was no chances not to bump into people you know! Twitter is definitely one of the best tools to meet up with your network in these exhibitions! 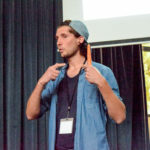 I met Rodolphe (The Sharing Bros) in Medellin – Colombia – 3 years ago! 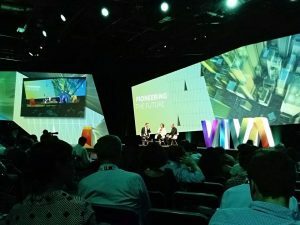 VIVATECH announced 5,000 startups on stands. I don’t know if that figure was correct but I was overwhelmed with startups around me. I did have some interesting chats with entrepreneurs at their booths (Lovebox, Tilkee, Living Packets etc) but there were way too many startups and I felt it was endless to try to discover them. 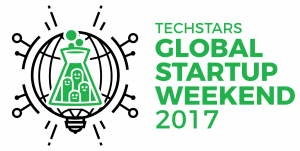 Speakers, journalists, interviewers, startups… Everyone took out their best language skills for this event 100% in English! It was nice to see that happening in France and having so many people from all over the World in one same venue. Each one of them talked with their cultural values and background. 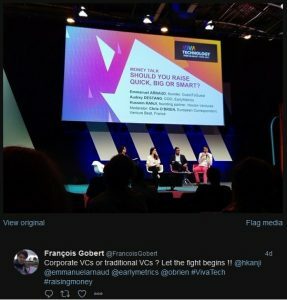 This is how I assisted to a very interesting debates between Hussein Kanji (investor at Hoxton VC) and Audrey Destang (COO at Early Metrics) about differences between traditional VCs and Corporate VCs. 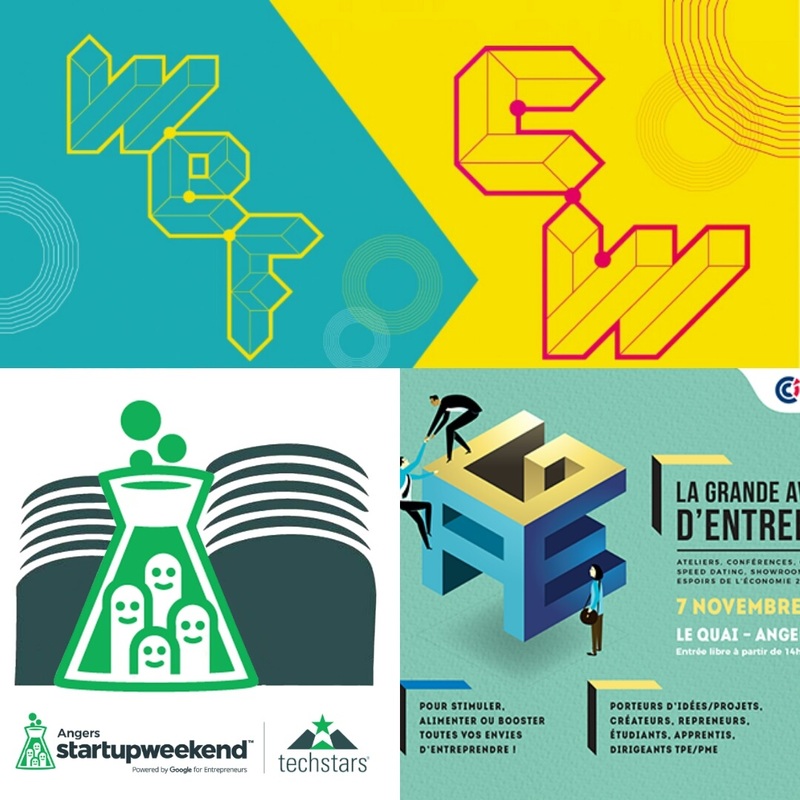 Also, giant French corporates (Orange, Valeo, RATP…) were on site and many French startups had pitching time on each of their stands! 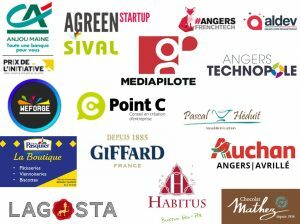 Besides, some French regions had also reserved corners to present startups from their own regions! It was a good way to have filters in networking! 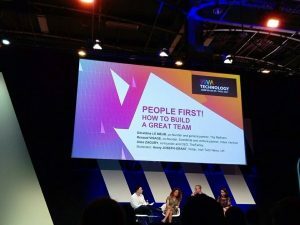 In a word, VIVATECH showed a good balance half way between Globalization and France’s talent.